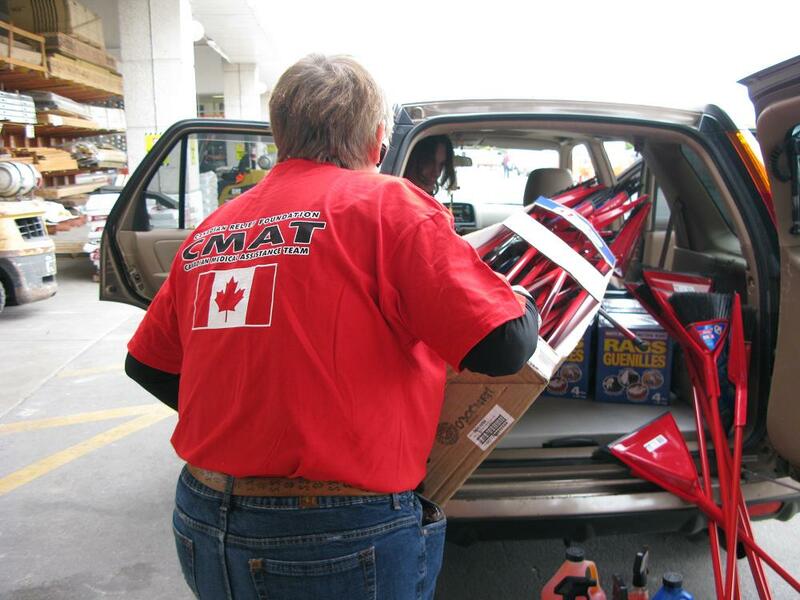 CMAT provides Toronto fire victims with much-needed clean up and recovery kits. CMAT purchased clean-up kits from Home Depot, and was able to provide supplies for 40 kits to individuals and families affected by the fire. 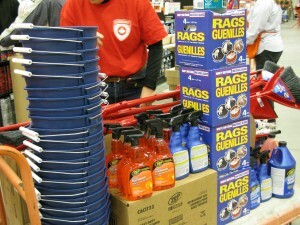 Friday, October 8, 2010 – Toronto – CMAT is proud to provide the victims of the 200 Wellesley Street fire with clean up kits, to help to empower fire victims to begin the recovery process both physically and emotionally, regain normalcy in their lives, and reduce the risk of illness associated with exposure to smoke and soot. CMAT Volunteer Beth Clinton loads donated cleaning supplies into the car. Besides the destruction from actual fire, smoke and soot can cause major damage to a home. Untreated soot can be unpleasant at best, and can be dangerous at worst. Asthma, allergies and respiratory problems are serious health risks for those living in a fire affected home. There are few organizations that can offer immediate help to families whose homes have suffered smoke damage. Additionally, a residential fire is often a traumatic and frightening event. The emotional sense of loss and uncertainty is significant, especially for those with limited resources for recovery. 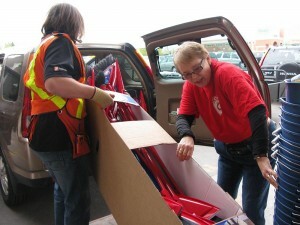 Ten more kits were delivered yesterday, thanks to the work of Laurie-Anne Clinton, and Sherway Home Depot. CMAT raised $1200 toward the fire relief, with which diapers, socks and underwear were purchased for displaced fire victims. With the remainder, clean-up kits were purchased from Home Depot. 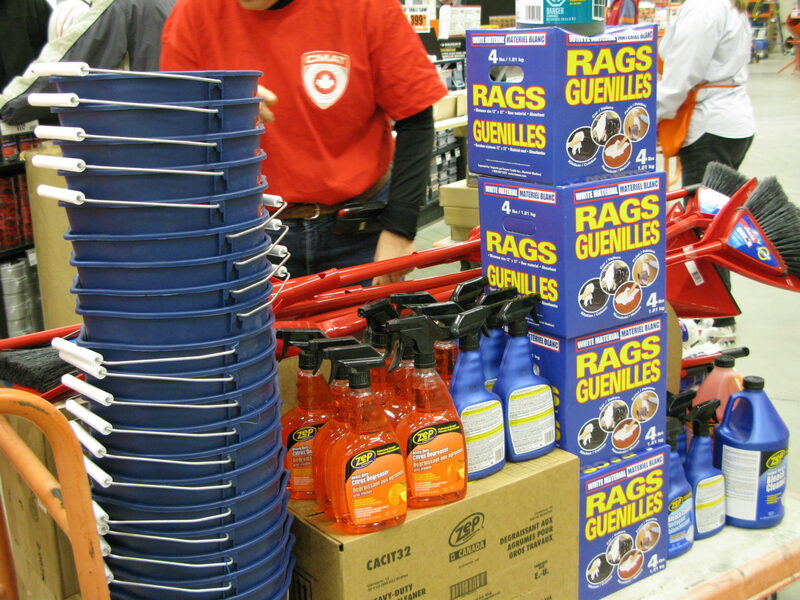 The manager at Leaside Home Depot was kind enough to drastically discount the prices, and we were able to provide supplies for 40 kits to individuals and families affected by the fire! Thank you Home Depot!!! Being a small and nimble grassroots aid organization, CMAT volunteers are able to respond quickly to emergencies here at home, and around the world.